We asked our readers to pick their favourite rehearsals from Wedneday’s lineup and only one could triumph. After counting 5,591 votes, we can now reveal that our readers think the multitalented Croatian star Jacques Houdek was top with his song “My Friend”. Our team of wiwibloggers in Kyiv were captivated by Jacques’ world of wonder. The performance opened with Jacques staring into the camera, acting as a motivational speaker who preaches that each day can be lived like a miracle. The camera then panned out to reveal Jacques singing to Jacques — when he looked to his right he was the balladeer, when he looked to his left he was the opera star. Behind him were images of Jacques on the LED. The screens then displayed stunning images, including the sun rising from behind an almost mythical mountain and later a field of sunflowers. At various points pyro geysers erupted around the perimeter of the stage and fell in a shower from above. Towards the end of the song a rainbow appeared above all of this — providing hope and inspiration that matched the soaring sound. This performance is mad, but in a delightful way. This act takes itself seriously but is so bonkers you struggle not to like it. Also making an impression with wiwibloggs readers was Bulgaria, who placed second. Kristian Kostov made an impression with the stark yet elegant staging for “Beautiful Mess”, earning 15.76% of the vote. In third place was Israel’s IMRI with 13.97% of the vote. His energetic performance of “I Feel Alive” was also a favourite. Poll results: Who had the best rehearsal on May 3? So cheesy but cheese is delicious, so trashy but gold trash, I really wish he qualify and at this point I’m sure that we will watch this in the Final. The song I had zero expectations aboud surprised me so much, great staging, great vocals, great camera work and song is growing each day more and more! Who is voting for Israel as the best rehearsal? Seriously? Are you gonna post tbe poll results of day 3 or not???? Well deserved, performance was amazing. Totally deserved for Jacques, he was on the 2nd place in press center poll. He did really a great job vocally and on the stage. I can see Croatia relly high in the final. Oh my dear… The Netherlands will most certainly qualify and probably also Croatia!!! Israel and bulgaria were the best. Those poll results are quite surprising. To me, Norway and Belarus had the best rehearsals on Wednesday. Great Jacques!!!! Indeed the best. If you don’t understand, you should get out from your bubble. He is the only contestant that is right to use his own face on the screen. Claudia looks like she is eating herself, but Jacques has a reason to use his two personas on the screen. That way the duet is presented to the viewers. I think there were technical problems with the counting. No way! One of the worst! Belarus and Bulgaria were the clear standouts, and the full Swiss rehearsal is really good ! Please tell me, that you really don’t think he is the best one? I’m scared. Congrats Croatia! Dare to dream and make it real. I know it’s cheezy but like William said : cheese can be delicious ? That’s a good joke. Anyways this is the only thing he will win at Eurovision. Bulgaria was the clear winner, followed by Belarus and Israel. The others were meh. These polls are useless anyway. 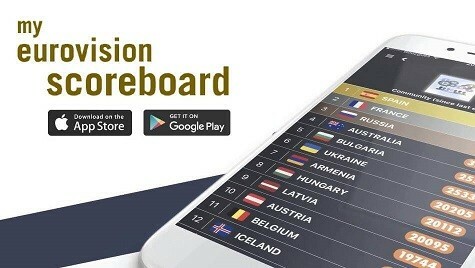 Day 3 won by The Netherlands who won’t even qualify, same thing about Croatia now… Day 5 will be won by Georgia or Czech Republic or what other non qualifier? Is that a joke, right?